The Social Security Leveling Option is a pension plan payout option offered by pension plans to level out the income of someone who retires early. The leveling applies to the amount of pension payments and not to the amount of Social Security you will receive. If your employer offers a Social Security level option as a Pension Plan Payout Option, it may be easier to take an early retirement. If you were born after 1942, Social Security retirement age is between 66 and 67 to collect full retirement benefits, depending on year of birth, . You can begin receiving reduced Social Security checks as early as age 62, but these benefits are reduced forever. However, there is no option (for non-disabled individuals and non-widowed spouses) to receive Social Security benefits prior to age 62. If you decide to retire prior to age 62, you will need other sources of income. Social Security is indexed to inflation, so every year the Social Security Administration will determine by how much (if at all) they will increase Social Security benefits. The idea behind the Social Security Leveling Option is to provide an increased pension benefit to early retirees while they wait for Social Security Benefits to kick in. Once SS benefits commence (or generally speaking, at age 65), the pension stream would be lowered, thus keeping the retirees total retirement income stable both before and after Social Security begins. It should be noted that the pension leveling option is independent of any Social Security decisions. In other words, you could elect the pension leveling option and then take Social Security benefits as early as 62, or as late as 70. For example, let’s assume you opted to retire at age 60, and your initial pension payment would be $1,500 per month. In a couple of years when you turn 62, you will start receiving $1,000 per month from Social Security for a total retirement income of $2,500 at that time. If you elected the level pension option, your initial pension amount would be increased to $2,000 and then reduced to $1,000 when you start receiving $1,000 from Social Security. The level pension plan keeps your retirement income at a steady $2,000 per month throughout retirement instead of starting your retirement earning $1,500 and then jumping to $2,500 per month when you start to receive Social Security. 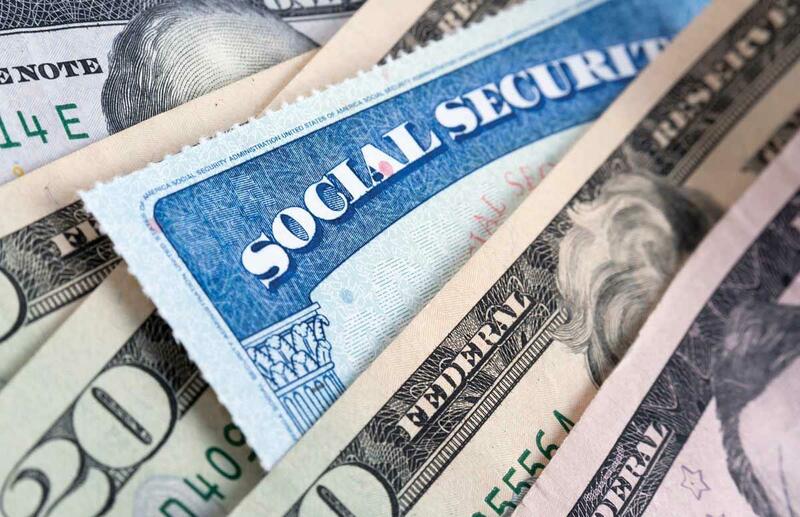 Social Security Leveling has two main requirements: you must be eligible to receive benefits from your employer’s pension plan and you must provide your employer with a written estimate of your Social Security benefit. Although the estimate is usually based on benefits available at age 62, some plans will accept an estimate of benefits available at full retirement age (66), or age 65. Whether leveling is a pension plan option that makes sense depends on how early you are retiring compared to how much money you give up in long-term pension payments. Social Security has cost-of-living increases, and your pension may also, which could also affect the long term results. But most private company pensions (versus municipal) do not have inflation adjustments. It is best to map out your various income options over time to determine which might work best for your circumstances.